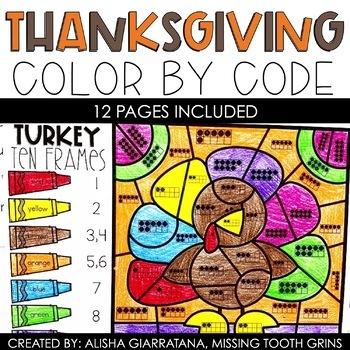 These color by code pages are so fun and perfect for the Thanksgiving season! It includes 12 pages total- 6 sight word pages (1 is a phonics page instead of sight words) and 6 math pages. 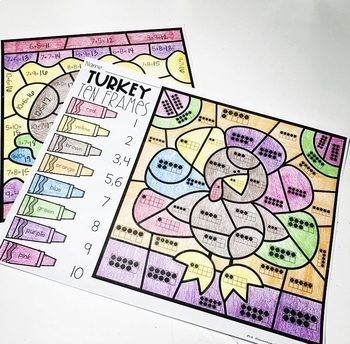 These are great for early finishers, morning work, or just a fun Thanksgiving activity! Your students will enjoy practicing their sight words and math facts while coloring a fun Thanksgiving picture!